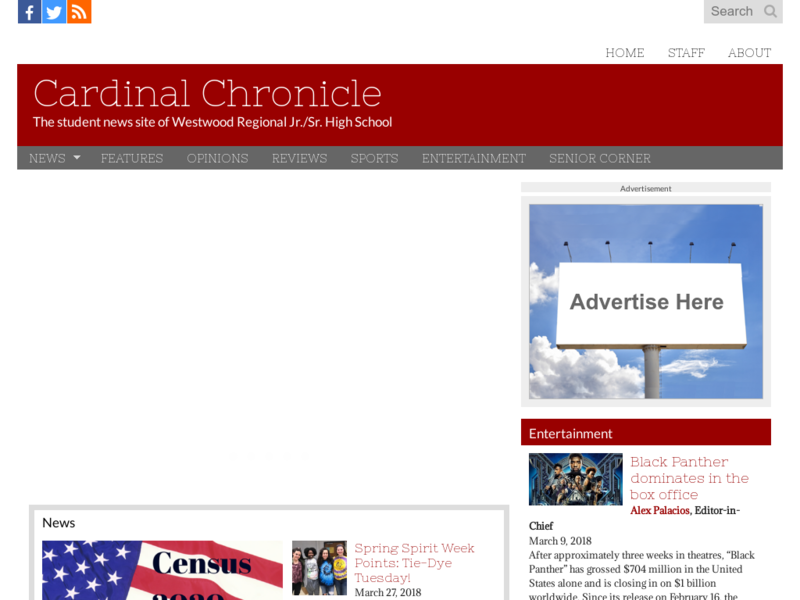 Cardinal Chronicle is the student news website of Westwood Regional Jr./Sr. High School in Township of Washington, New Jersey. Reach a growing audience of high school students and their families in the Township of Washington, New Jersey area.